It’s hard to believe that yet another year has passed. This is the last of 52 posts in the Grateful 2013 series, an idea inspired by the inimitable BMcD a couple of years ago. Had you told me then, Biddy, how much my life would have changed as a result, I’d probably have laughed in something approaching a quiet disbelief. I’ve waded through shelves of self-help books in my time and recognised a common thread in the importance of giving thanks, of being grateful. Admittedly, I was a little skeptical when it came to believing that the more I give thanks, the more the universe responds. But now, two years later, I am living testimony to the fact that it does work. Life is good – damn good. This year has been one filled with old friends, new friends, old new friends, and new old friends. To all of you who have touched my life, no matter how tangentially, thank you. You may never know the difference you have made. Even those nasty encounters with meanness and pettiness served as a stark contrast to the kindness and support that was much more visible and as a reminder of all that is good about human nature. I’m the first one to admit to a bad first impression. Mind you, I doubt my saying ‘You know, when I first met you, I thought you were a right pratt, but now that I’ve gotten to know you, I quite like you’ would win me any medals in the diplomacy stakes. And despite the lukewarm reception such admissions generally receive, I still persist. Honesty is ingrained in me and while the world in general, and some people in particular, might be much better off and none the wiser had I kept my second-thoughts to myself, I can’t get rid of the urge to purge. Switzerland and me got off to a bad start all those years ago. 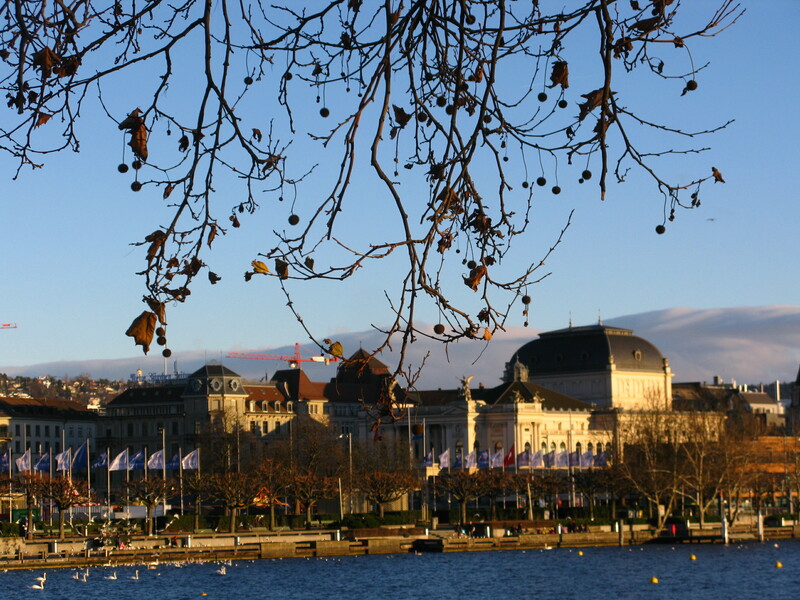 Our relationship wasn’t improved much by semi-frequent visits to Geneva (I was proposed to there once). It took this last trip to Zurich to make things right. The centrepiece, the main attraction, was the lake and the old town. Nothing new there, given my predilection for things old and things watery. The last time the lake froze was in 1963 – the second time in the twentieth century. That’s something that was hard to get my head around, but even harder was to see someone fishing, downtown, when the rest of the world went to work. Over on the far side of the bridge lies the old town with its church steeples and riverside walkways. It’s here, in the cathedral, where Marc Chagall’s (born Moishe Segal) famous stained glass windows are venerated. 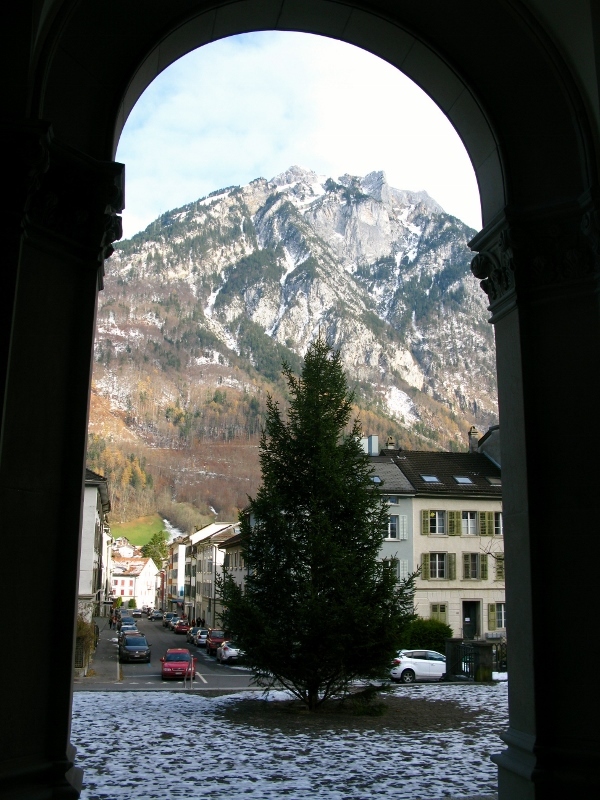 Used as I am to the gilded walls and pillars of Catholic churches elsewhere in the world, the stark plainness of the churches I visited in Zurich were a marked contrast and somehow much more conducive to prayer and reflection. Perhaps what is most surprising about these windows is, as James H. Charlesworth notes, ‘how Christian symbols are featured in the works of an artist who comes from a strict and Orthodox Jewish background’. Worth a visit if you’re in the neighbourhood. So the verdict? 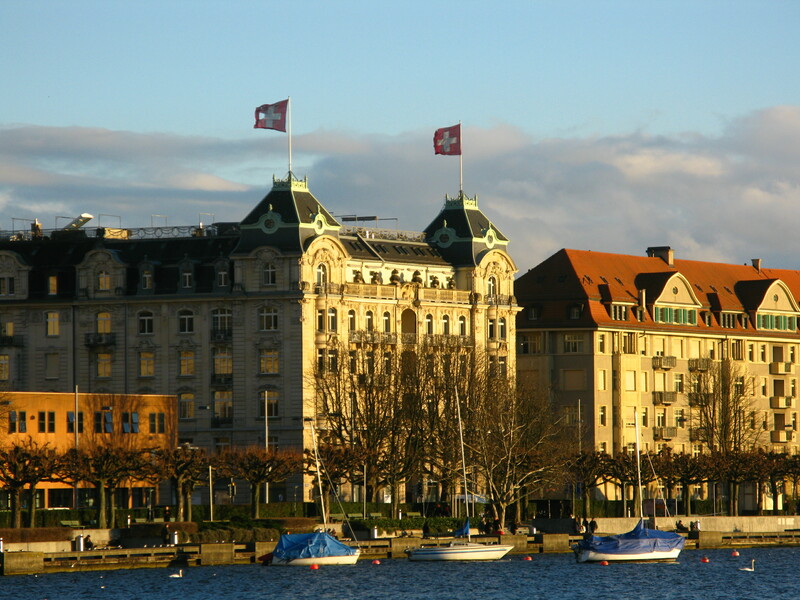 If you’ve not been to Zurich, make time to visit. You won’t be disappointed. The people are friendly, the service is exceptionally good, and there’s plenty to do and see. 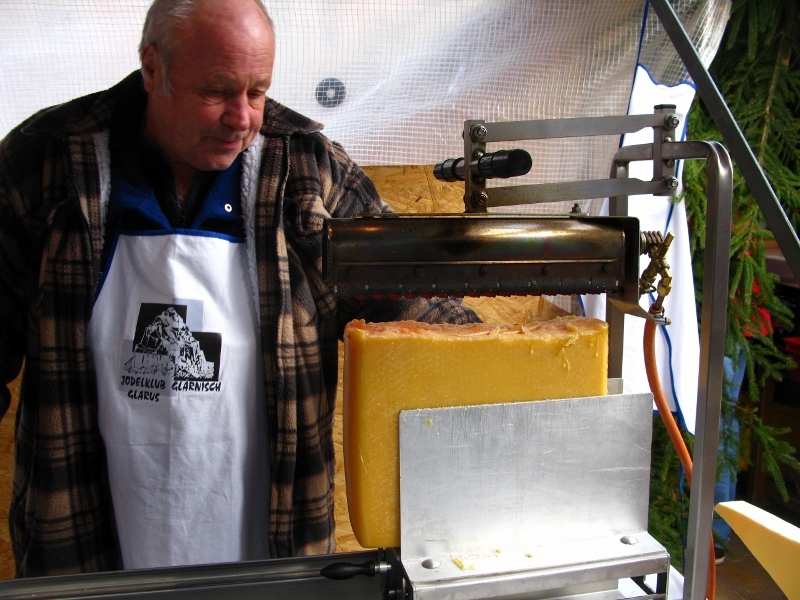 Eat your fondue outdoors as it does smell a little and try, if you can, to visit in December. 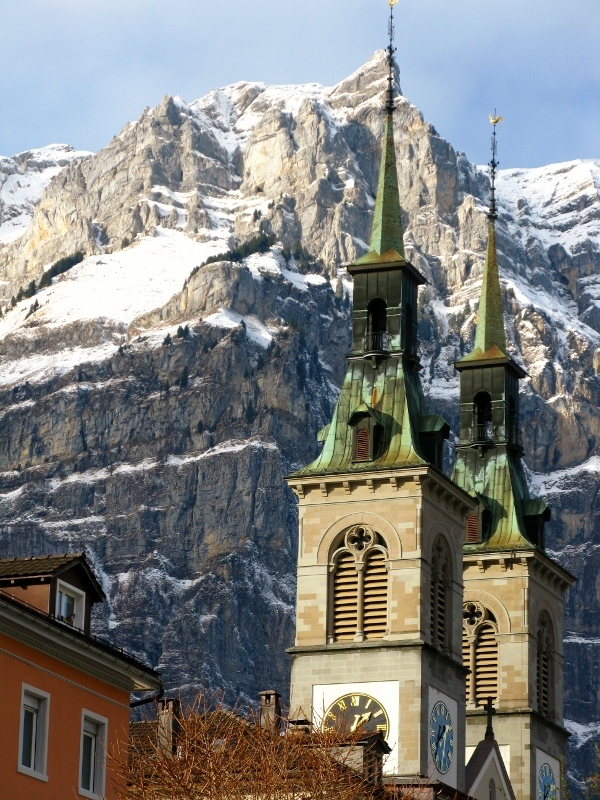 Take advantage of the mountains and be sure to visit a church or two. I live a life without issue, that is I have no children. I can’t ever remember wanting to have children but that said, I wouldn’t have objected had the good Lord seen fit to bless me with an offspring or two. But it wasn’t to be. As a child, I used to dream of fostering, of adopting – ever since I saw the documentary narrated by Henry Winkler: Who are the DeBolts and where did they get 19 kids? I love my nephews. I have two. They regularly remind me that I cannot include patience amongst my many virtues. They amaze me with their logic, untarnished as it is by the shoulds and should nots they will inevitably adopt as their own. I am fascinated with other people’s kids and occasionally irritated by their poor behaviour. I find myself increasingly wondering when children started parenting the adults and when adults lost control. There’s a saying that just about the time you start realising your parents were right, your kids start telling you you’re wrong. My parents were strict and I promised myself that I’d be a lot more lenient with my kids, were I to have any. But I know now, with the benefit of hindsight, that I’d have been even stricter. Perhaps its just as well my maternal gene is in abeyance. That said though, Christmas is a kid’s holiday. It saddens me that it’s become less and less about Christ’s birthday, and more and more about Santa Claus… and getting stuff. It upsets me that big ticket items like iPads and sound systems have replaced the dolls and teddy bears of old. I’m lucky. I have practically everything I need and get a far greater kick out of giving than receiving. It’s the opening of the present that I like – once it’s opened, I’m not beyond rewrapping it and giving it to someone else, thus multiplying the pleasure. Want vs need – that’s what it all boils down to. Give me the stuff memories are made of any day over something I have to find a home for. But I digress. Back to kids. 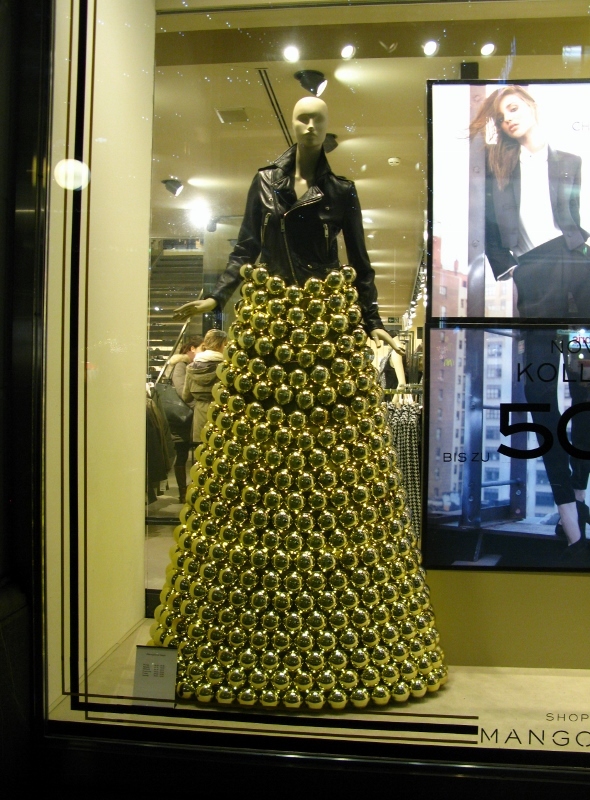 My mates in Zurich sold me on the trip when they told me about the singing Christmas tree. I couldn’t quite imagine what they were talking about and just had to go see in person. I challenge the most hardened Bah! Humbug! to do the same and then tell me that they still don’t like Christmas. 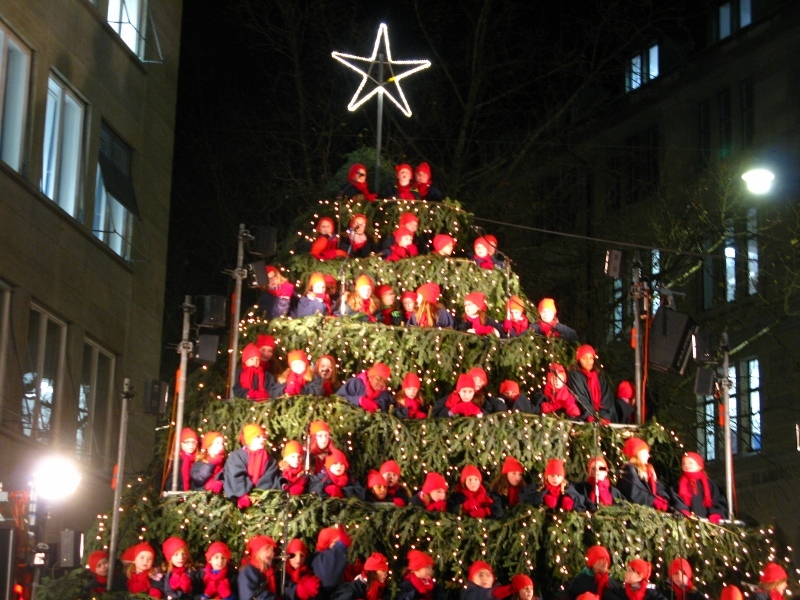 Just a few steps from Bahnhofstrasse, tucked away in a little Christmas market, with plenty of glühwein choirs take to the tree at 17.30 and 18.30 every weekday evening from late November. Initially hidden from the crowds, they suddenly pop out and start singing. Gobsmackingly cute. The concept came from Bellhaven University in the USA where, in 1933, the first living tree was conceived. Since then, it has spread across the world to Canada, the Philippines, Switzerland, South Korea, and Sri Lanka. 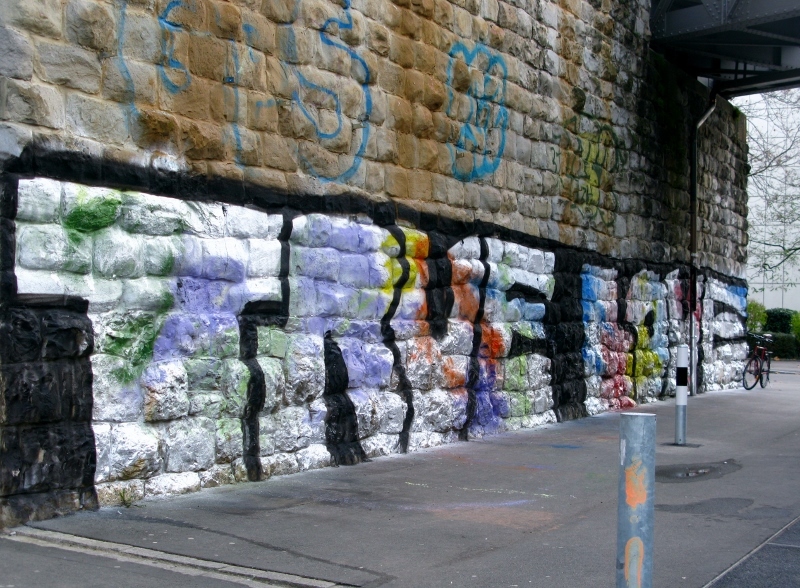 Back in 2007, the one at Knoxville, Tennessee, attracted 60 000 people to one event. They range in size from 18 to 48 feet (5.5 to 15 m) and can hold anything from 30 to 450 singers. What a simple, yet spectacular idea. Amidst the fuss and frolics this Christmas, I’m reminded to take the time to be grateful to children – for their insight, their incisive humour, and their uncensored views of the world. As the late John F Kennedy was fond of saying: Children are the world’s most valuable resource and its best hope for the future. There’s a lesson there for all of us. 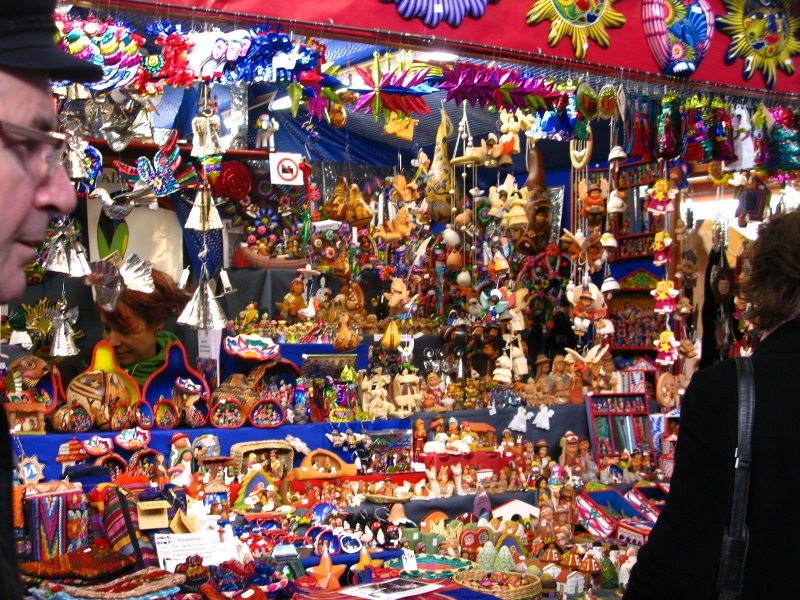 I’m quite partial to the concept of Christmas markets. I like wandering around, wrapped against the elements, clutching my steaming mug of hot wine and checking to see what the artisans have been up to. 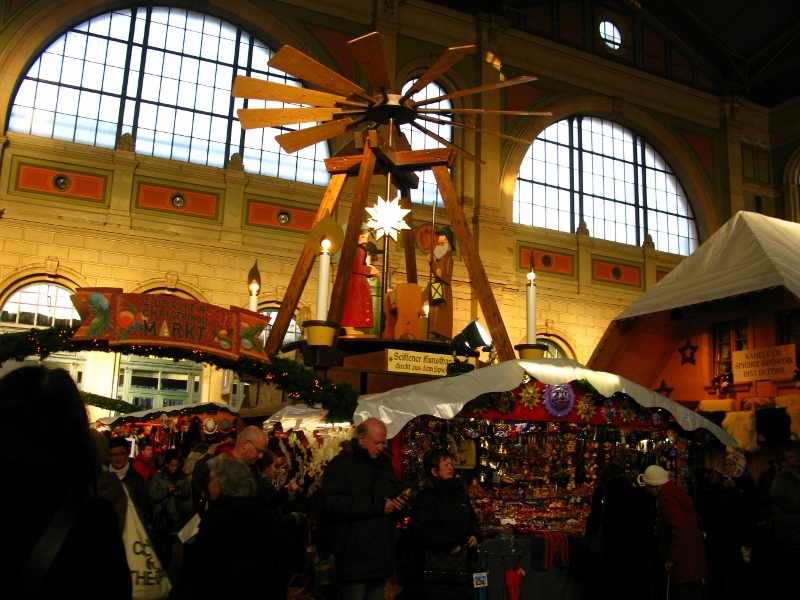 Visiting other cities in December, these markets are a must and are inevitably compared to what’s on offer in Budapest at the Basilica or Vörösmarty tér. 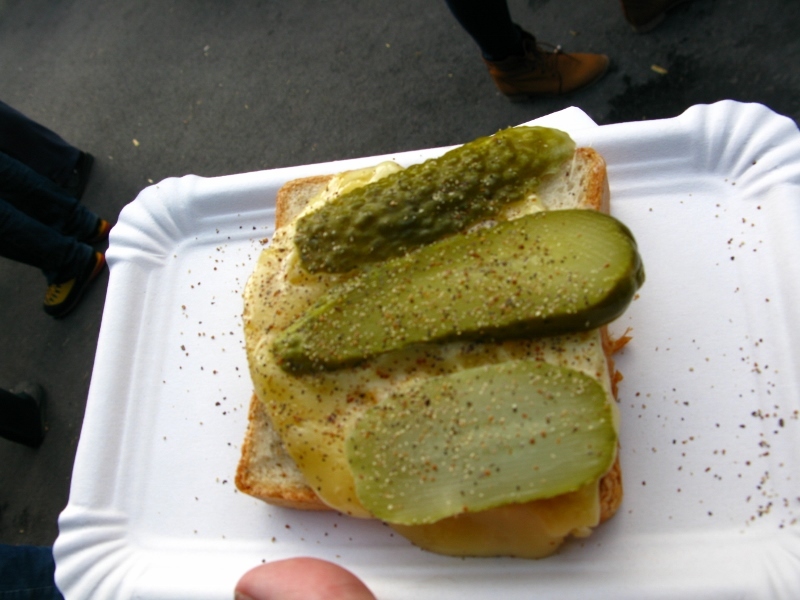 Vienna was disappointing – oh, it looks fantastic, but take away the soap and the cheese and what you’re left with is bunch of tat. Zurich was different. 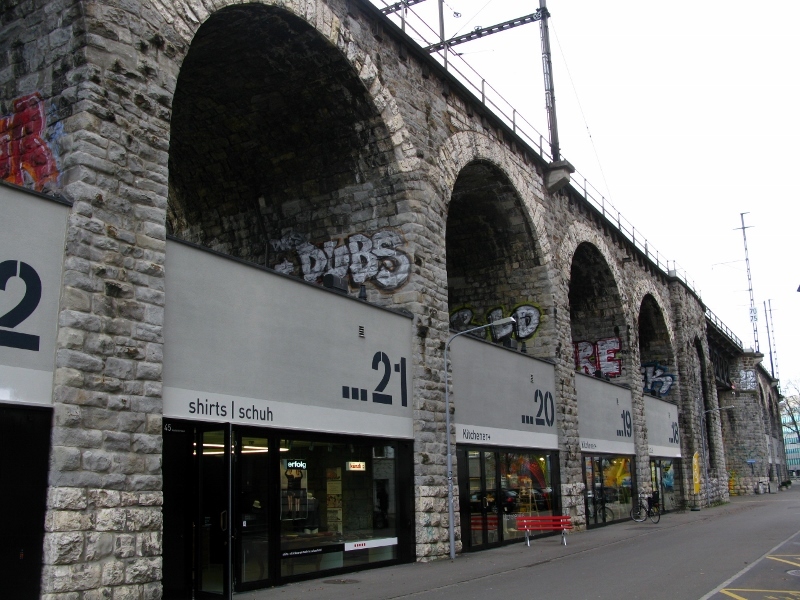 The main train train houses Europe’s biggest indoor market. 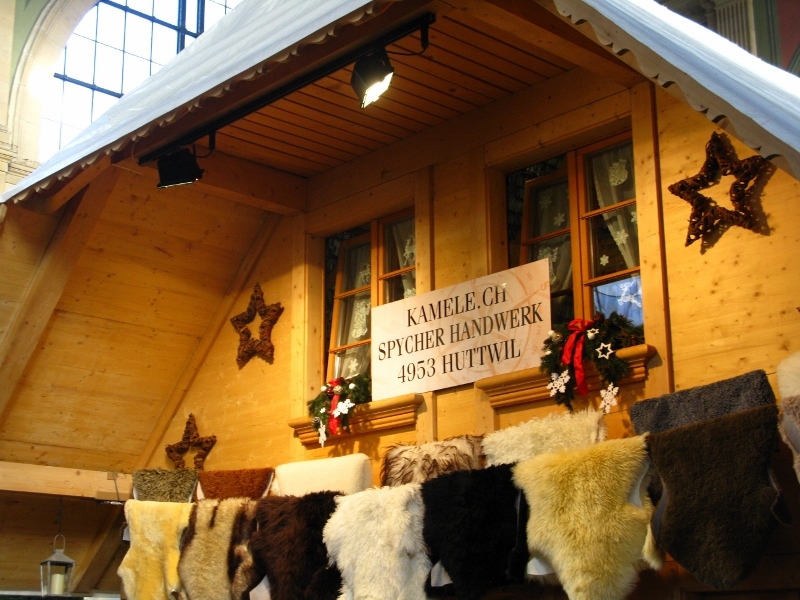 More than 160 wooden chalets offer everything from sweets to candles to sculptures to jewelry to carvings to hides. The emphasis is definitely on craftsmanship. And what a novel location – perfect for those with an hour to spare between trains, consoling for those who have missed their train, and warm enough for those feeling the cold. 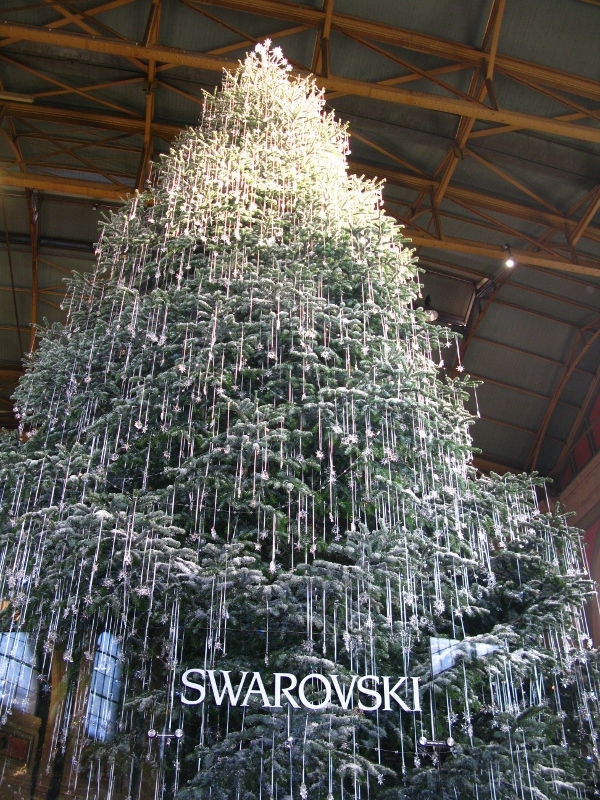 The centrepiece is the Swarovski Christmas Tree with its 7000 sparkling crystals. A magnificent piece of work that boggles the mind. There are 14 of them dotted around the world from Argentina to Venezuela (with two in China), each one brighter than the next. I was given a piece of Swarovski for my birthday, and having gotten over the extravagance, have to admit to being rather attached to it. Years ago, in Hawaii, my mate Lori bought me a pair of crocs – sandals – and had them add some Swarovski crystals. That I thought a little ostentatious, but I got over that, too. It all makes me wonder at who I might have been in a past life. And the markets don’t stop in the station. 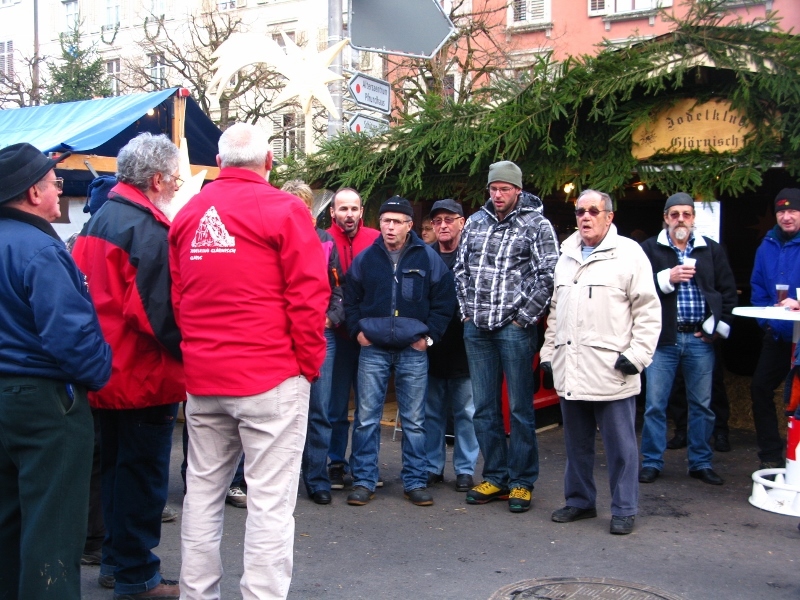 In side streets off the Banhoffstrasse, many more sit in wait for passersby. The food on offer isn’t the usual Hungarian meats swimming in vats of oil (which, by the way, I love); it’s a little more sophisticated. 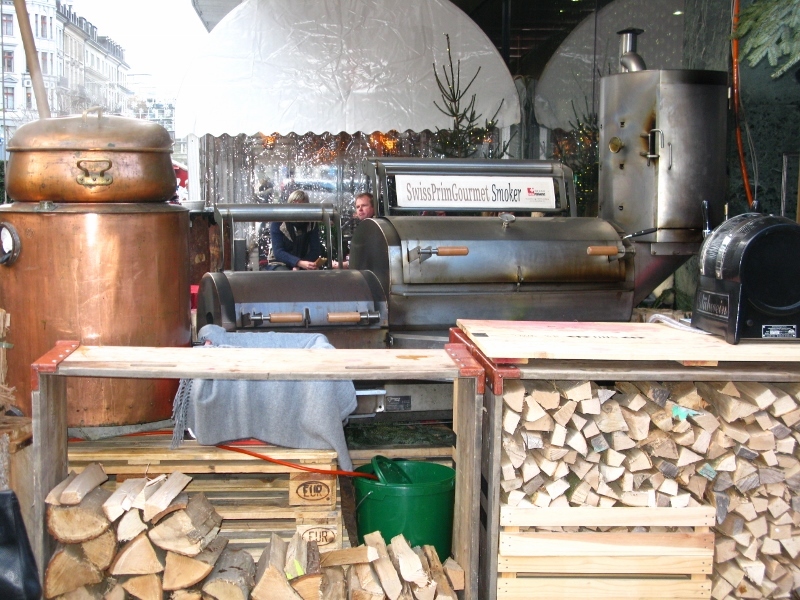 Smoked meats, cheeses, fondue, and raclette vie for attention. 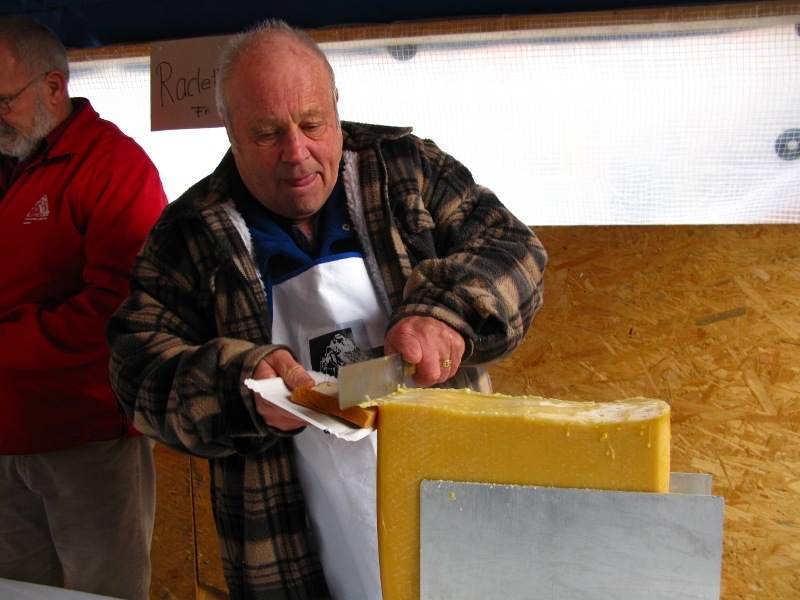 Loathe though I am to stereotype, the Swiss certainly love their cheese. As you might expect, everything is neat and orderly. I was quite surprised at the carelessness with which smokers throw their butts on the street, but then I was reminded of the nation’s efficiency – it would all be clean again in a matter of hours. 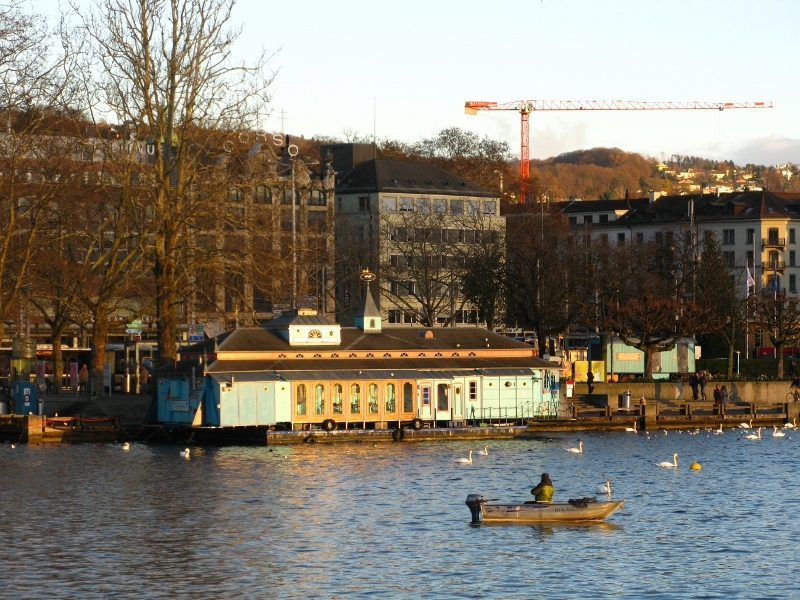 If you’ve a mind to get away from it all before the holidays, you could do a lot worse than visiting Zurich. I have a sneaking suspicion that I might well be back again, next year. 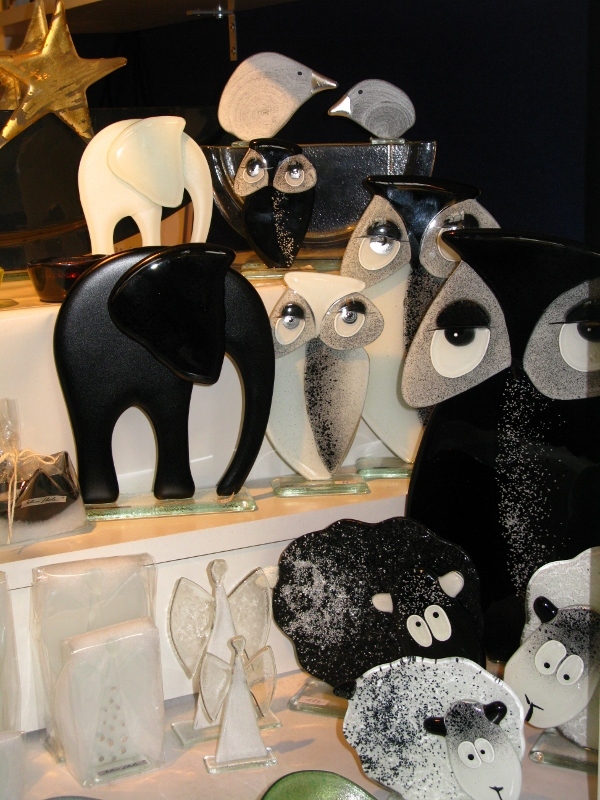 And this time, I might actually buy one of Bettina Eberle’s glass owls. The last time I was in Zurich, some random individual (male) got on the tram and started whaling on me with a rolled-up magazine. It hurt. Okay, so I had been staring mindlessly out the window and he got caught in my crosshairs. I hadn’t actually been looking at him – it was more like he got in the way of my stare. Anyway, he took offence, came aboard, and started on me. Rolled-up magazines are formidable weapons. They hurt. 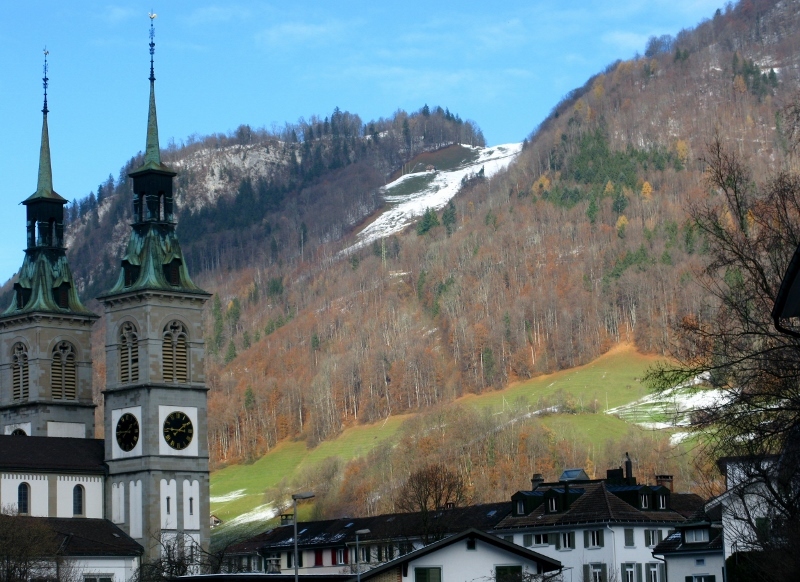 But what hurt most was that I was in law-abiding Switzerland and no one came to my aid. Whatever invectives he was shouting act me must have given our general audience cause to believe that we were embroiled in some sort of domestic dispute, so they kept their distance. In fact, they did more: they got up and moved away. He calmed down and sat down, and I stayed seated, rooted to the spot, hoping he’d get off at the next stop because I wasn’t capable of thinking enough to safely put one foot in front of the other. But he didn’t. When he stood, it was to turn on me … again. 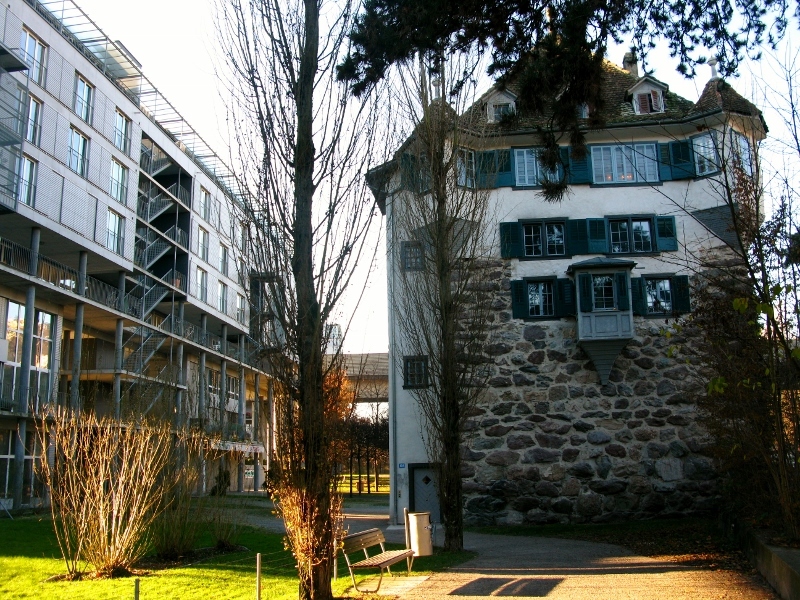 Fast forward 20 years and I find myself with an invite from good friends to visit them in Zurich. Understandably, I have no great love for the city. What sights there were back then had been swallowed whole by the memory of Mr Magazine. But it wasn’t Zurich I was going to see. My mother is fond of reminding me of the beatitude – blessed is she who expects nothing for she shall never be disappointed – and I can add to that now… expect nothing and you might even be pleasantly surprised. 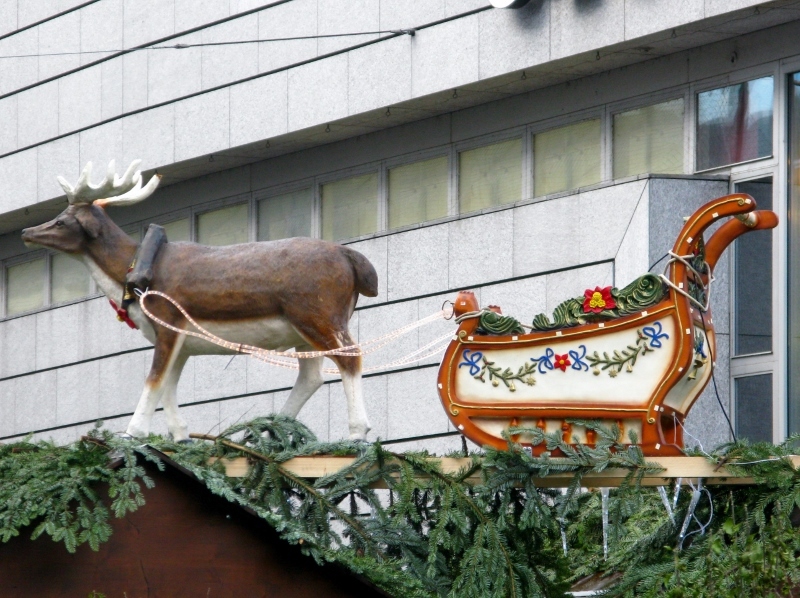 Zurich at Christmas is delightful. 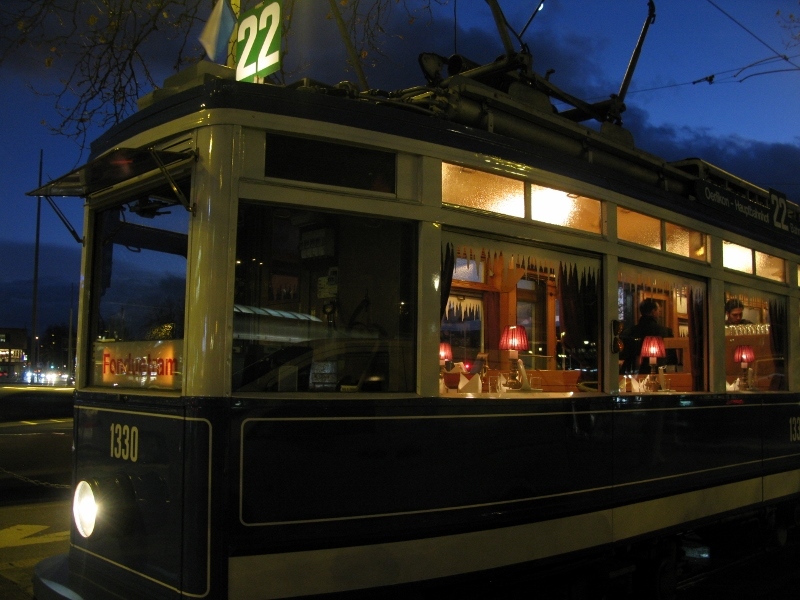 The Bahnhofstrasse is lit up by lights they have named ‘Lucy’. 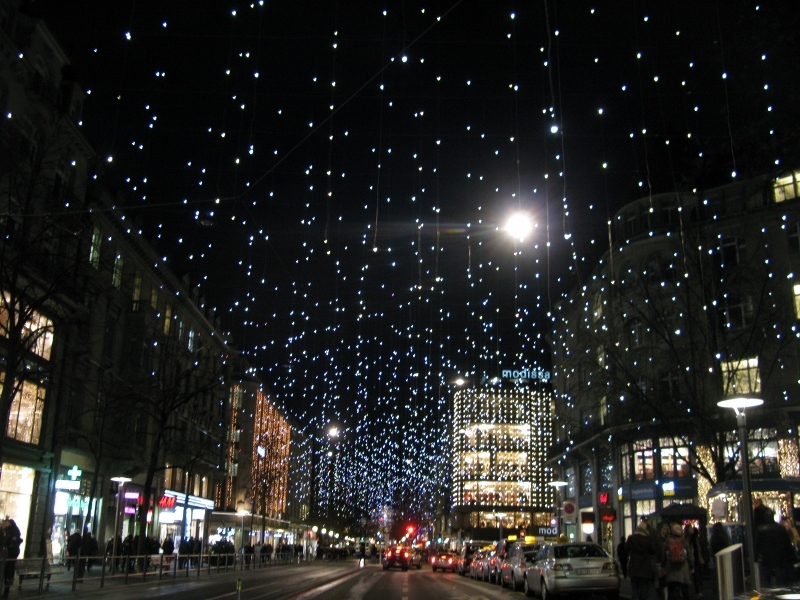 Strings of lights are suspended across the street creating an illusions of falling stars. It’s amazing. So simple and yet the effect is one that makes you stop, repeatedly, and wonder. Shop windows epitomise a style that is uniquely Swiss: a little sharper than neighbouring France and a lot less harsh than bordering Germany. The sales boasted hefty discounts, but even with 70% off, the prices were still just that little bit out of reach. 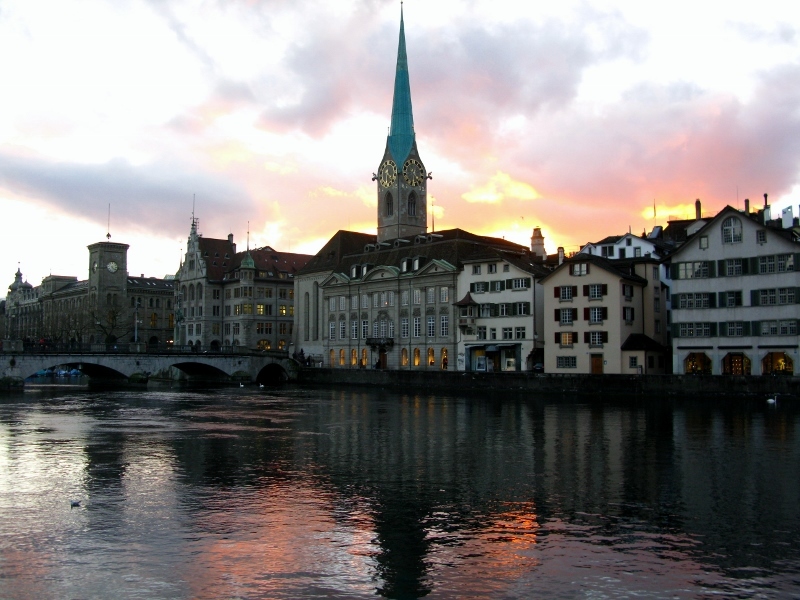 Zurich is many things – but it ain’t cheap. Nicely mellowed by the gluwein and wrapped against the elements, I rediscovered the art of rediscovering. I had a change of heart. Yer man’s face, with the three vertical cuts on his forehead, is a vision that has been superimposed by one of magic and wonder. 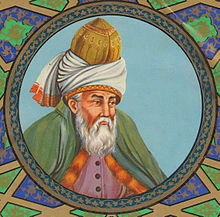 In two days time, on 17 December, I wonder how many will remember the anniversary of the death of Mowlānā Jalāloddin Balkhi, known in Persia as Jalāl ad-Dīn Muhammad Balkhī and in the West simply as Rumi. He died hundreds of years ago, back in 1273. And it reminded me, for the fifty millionth time, how important our words are. What we might think of as a throwaway comment could do untold good (or bad) to another. Innocent remarks repeated out of context can do serious damage. And quiet, thoughtful appreciation, if given voice to, can mend the most damaged of souls. This week has been one of reflection – one where I am grateful to those who have shared their appreciation of me (and with me) – and in doing so lightened my load. Thank you. Despite its religious significance, despite the hoards of pilgrims of all faiths who besiege it with a fervor that would make you wonder why there is any unrest in the world at all, and despite the countless millions of holy trinkets that embody the faiths of nations, the essence of the Holy Land was epitomized for me in one short piece of text, prominently displayed on the wall that separates Bethlehem from Jerusalem. It wasn’t drafted by a great scholar, a famous theologian, or a savvy politician. It wasn’t the product of years of discourse or months of negotiations. It wasn’t designed to clever or witty or tweetable. It simply tells a story. I’ve prayed to my God as long as I can remember. I’ve asked and been disappointed and then relieved as prayers went unanswered. I’ve asked, been happy and then disappointed when what I thought I wanted wasn’t what I wanted at all but I was stuck with it anyway. It took many years to realise that despite my prayers, I get what’s given to me for a reason. Mine is not to second guess or even to figure out the reason why, but rather to accept my part in the divine plan and make the most of it. Everything happens for a reason. Now, I’m well aware that sort of talk might cause some to retreat behind crossed index fingers and reach for the clove of garlic; others might go as far as to question my frame of mind. For one that can occasionally appear to have a brain in her head, it might defy belief that I could be so willing to believe that while the waters ahead may be unchartered, I have a map and a guide and complete faith that I’ll arrive eventually to wherever it is I’m supposed to be, with whomever it is I’m supposed to be with, whenever I’m supposed to be there – and not a shred of scientific evidence to back up that assertion. As a child, I learned to pray by rote. Nowadays, my prayers are more like conversations. Open conversations. At times argumentative, at times truculent, at times weary, always grateful. While I might think I know what’s best for me, I’m rarely right. And when, piece by piece, a plan is revealed, I can either delight in the process or sulk … because it wasn’t exactly what I had in mind. And I can sulk with the best of them. I’ve had plenty of practice. My method of prayer might be unorthodox. I’m not overly concerned with religious propriety. I constantly remind myself that the Catholic Church, like all religions, is a man-made institution and therefore far from perfect. I don’t agree with many of its teachings and mostly observe its rituals out of habit; it has little bearing on my relationship with my God. But faith I have, in spades. I’ve long-since struggled to encapsulate what this faith means to me and how it manifests itself in my life. I’ve struggled to make myself understood when it comes to explaining rationally why I believe. I’m the last one you’d want in a debate on creationism vs evolution. 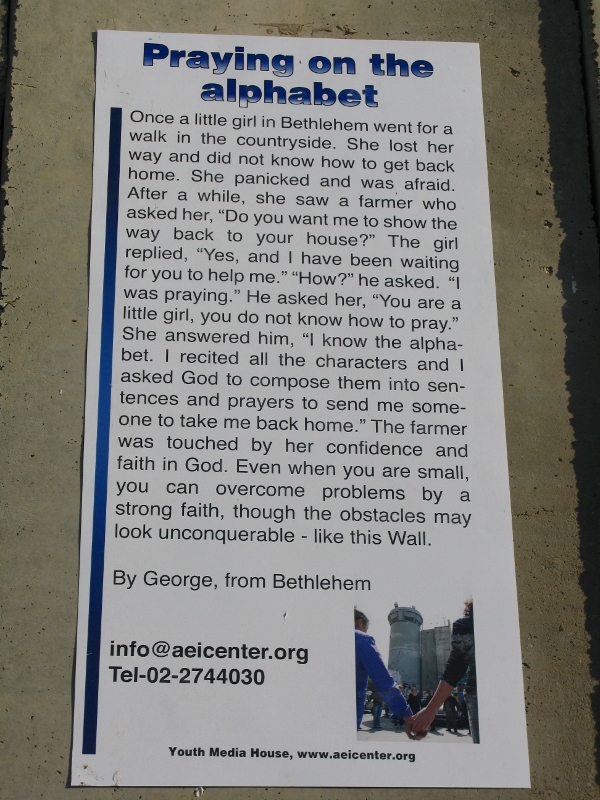 But when I read this piece on the wall in Bethlehem, something clicked. If I went to the Holy Land seeking affirmation, this was it.